This image was sent to me this morning by my granddaughter, Olivia. She called it Beautiful Nanny Dancing. This is Olivia’s love speaking. Sixteen years of love and exchanges of all sorts have led to this moment – when Olivia photographs the release of her grandmother’s joy through dancing. And so it happened, one week ago today: By affirming the essential contribution of my mother – earth to my father’s sky – my own flight was released, and with this flight came a completion that could only result in joy. Remarkably, there were witnesses, though participants would be the better word. Angels – human and otherwise thronged the room: sat in the chairs with smiles and/or tears on their beautiful faces, or swirled and swooped in the very air I breathed. It has taken me all this week to be ready to write of the performance in the Ocean Springs Community Center for the twentieth anniversary of The Walter Anderson Museum, and I know even now that I cannot really convey what it was. Spiritual happenings are like this; moments when harmonic energies converge so completely can hardly be spoken of. How can one describe something that is too miraculous to remember clearly? I can say that prior to the performance I was ridiculously human, my knee aching and threatening to lock, an esophageal burp threatening to erupt. Age and infirmity were doing battle with my faith in transcendence. Interestingly, wonderfully just before I entered that room of expectancy, two vaguely familiar figures appeared in my path. Gaby and Laurent Charbonnet, Godchildren of my extreme youth, not seen in so many years that I cannot count them. And they tell me that their mother is with them. Grace! Grace will be in the room with me. This woman who had been a second mother to me during years when my need for mothering and guidance was excessive. Grace was a different sort of mother: youthful, beautiful – even glamorous – without the tiredness that my own dear mama couldn’t hide. Grace laughed and I forgot the challenges of life at home. So Grace was in the audience. The mother element was manifest as I sang the poem that had accompanied my walks for months. Yes, I did go on to sing of the father- sky, and to ascend and to dance “with the little winged blessings in my father’s blue eye”, but that can wait for a future post. For now I am most content to rest in the arms of Grace. One week from today I will – yet again – find myself dancing before my father’s mural’s in the Ocean Springs Community Center. The occasion will be the twentieth anniversary of the Walter Anderson Museum of Art. 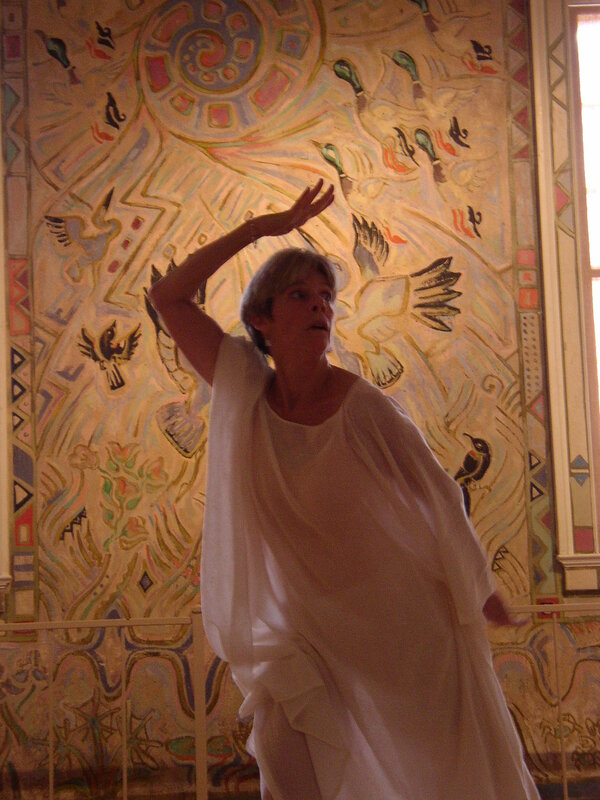 I am dancing not as Leif Anderson, a dancer worthy of being seen, but as Leif Anderson, the daughter of the artist, Walter Anderson. This is a familiar reason to dance. There have been countless such appearances, and I have always risen to the occasion. This time the rising is slow to happen. I find myself weary of celebrating the parent who was never really there. His rare appearances were of the nervous-making sort, possibly better than no appearances. I have made the most of my memories of my father in my book: DANCING WITH MY FATHER, and this was a deeply healing experience – even freeing for a while. Yet – six years later – I am still expected to celebrate his life more than my own. I am obligated as he never was by his child’s existence. Love wasn’t enough, I guess. Because I do believe he loved me, perhaps saw in me some of his own passion for expression even as his quest repeatedly pulled him away to his solitary pursuits. And I have to believe he inspired me to follow my dreams, although it was my ever present mother who so nurtured those dreams – encouraged the flight by grounding it in reality. She did this for him, as well, made a living that he might live – supported his artmaking that this same art might eventually support so many. Would there be a Walter Anderson Museum of Art without the dependable grounding love that Agnes Grinstead Anderson provided for her husband and their children. Perhaps whoever is reading this will understand that I have been questing as I write – questing for a reason to back up my Sunday performance – and I think I may have found it. My purpose (a familiar one, really) is to do my best to restore the balance. I shall begin by celebrating my mother’s essential contribution to the whole. Years ago I wrote two poems to affirm my parentage. I revived them this year – have been singing them as I walk the dogs or drive around in the car. The interesting thing I have noticed is that the Earth Mother poem can stand alone. It comforts and grounds me as my human mother once did. But the Father Sky poem cannot fly alone; it requires the Earth Mother poem to lift off. It has to begin with her. Bless you, Mama… Daddy and I are eternally grateful for the dance. A dance begins in an open space. At first it is only a whisper of movement, and if one listens and attunes – allowing breath to realize form in a willing body – then dance can be a miracle. Unlimited, the gesture flows, a perfect message of the soul released. The personality rejoices, participating wholly in this liberation. I am a fortunate woman, retaining the childhood joy of dancing freely. The secrets of my heart pour forth and are transformed by revelation. For all of my life this has been my way; living has radiated from my urge to dance. I have equated the two more emphatically as the years have passed. Experience tells me that before I step into an actual open space – be it a stage or other prepared arena – I am already dancing, have never stopped. Ideally, I am the open space in which dance lives; it cannot help but manifest. Even my own intermittent doubts and discouragements cannot prevent the stream of living movement. I may seem to distract, to forget, to suffer from a kind of stagnation, but always the muddy detritus disperses and a clear bright force impels itself through my willing body. This is dependable; life is a dance, and dance must find its way. Often dance finds its way through the written word. My body sits still while the words seek formation in an open space. 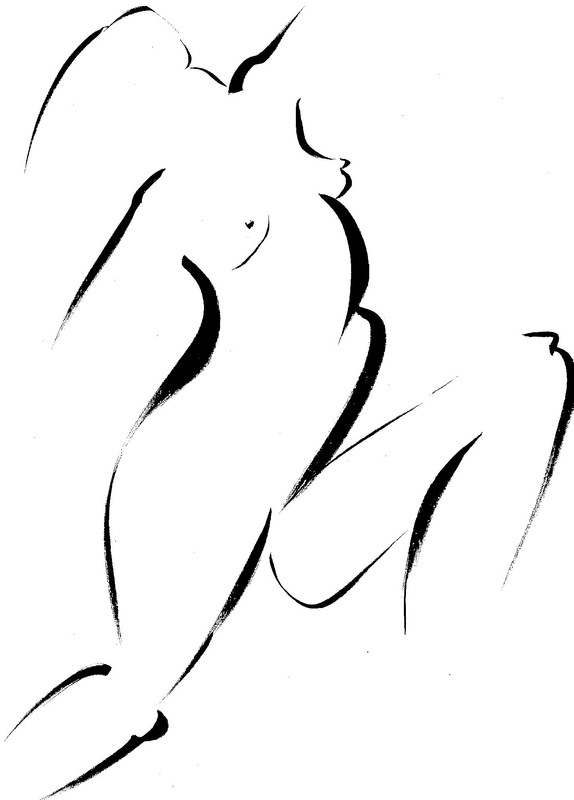 Words in rhythmic phrases glide into stark relief on a blank white page, and the dance performs its magic through subtle means. Yet communion is as certain as if the body were seen to swirl, to sway, to bend and reach. These gestures also shall be received and responded to, life unto life. As I write, I remind myself that believing ensures creation. 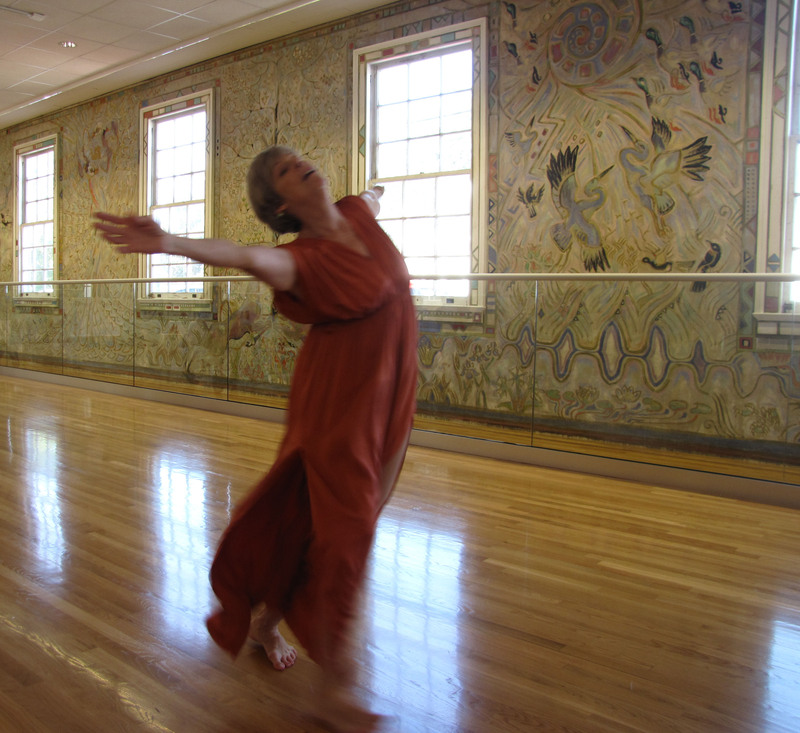 I know from experience that every dance – regardless of form – begins in an open space. You are currently browsing the A Dance of Balance blog archives for October, 2011.